You know that driving while intoxicated is dangerous and illegal, whether you have been drinking too much or taking prescription or illegal drugs. These substances affect your ability to make sound decisions while driving, they slow your reaction times, and they make it hard for you to focus, among other things. If you get behind the wheel while you are intoxicated, you can not only cause an accident that can lead to serious injuries, but you can also face serious legal consequences, including losing your driving privileges or spending time in jail. But you may be surprised to learn that what you don’t put in your body can be just as important as what you do put in your body when it comes to your safety behind the wheel. You may know that failing to drink enough water can make you sleep and cause health problems, but you may be surprised to learn that being dehydrated can put you at risk on the road. At least one study suggests that being dehydrated while driving can be just as dangerous as driving while drunk. A study last year from researchers at Loughborough University in the United Kingdom found that drivers who did not drink enough water were twice as likely to make mistakes while driving as those who were well hydrated. Drunken drivers experience a similar rate of mistakes behind the wheel. These findings are significant for drivers in Arizona, where the extremely hot summers can make it easy to become dehydrated if you are not paying close attention to your water consumption. If you are feeling tired and sluggish, it may not be because you didn’t get enough sleep the previous night. You might actually be needing more water. Your body needs plenty of water to regulate a variety of processes, from metabolism to circulation. If you don’t get enough water, you can’t digest your food as quickly, you can’t filter toxins from your body as efficiently, you can’t get the nutrients you need from your food as quickly, and your circulation will slow. All of these things will make you feel more tired. Lethargy can make it harder for you to concentrate while you are driving and to respond quickly to obstacles. You may delay in hitting the brakes when someone pulls out in front of you suddenly, or you may not notice that the car in front of you has slammed on the brakes in time for you to stop also. These delays can lead to serious accidents. Being dehydrated can affect your mood and your energy. You may feel more tired and irritable without really knowing why. Every little thing can start to bother you. This can be a dangerous problem when you are behind the wheel of a vehicle. Any distraction can make you less safe while driving. You may not notice a car coming into your lane, you may take longer to respond to sudden obstacles, or you may even veer out of your lane or off the road because you are having a hard time concentrating on the road in front of you. Heat exhaustion is just one of a number of possible heat injuries, which are easy to succumb to during the Arizona summers. Heat exhaustion can easily be brought on by dehydration because the body does not have the water it needs to sweat and control its temperature. It can then become overheated, which can cause weakness, headache, and even unconsciousness. The danger of falling unconscious behind the wheel is obvious. However, even weakness and headache can make it hard for you to concentrate while driving, which can lead to accidents. Fortunately, these risks are easily mitigated by just drinking enough water, whether it is the hot Arizona summer or it’s cool outside. It is important that you are well-rested, hydrated and sober while you are driving so that you can give your full attention to the road and make fast decisions. 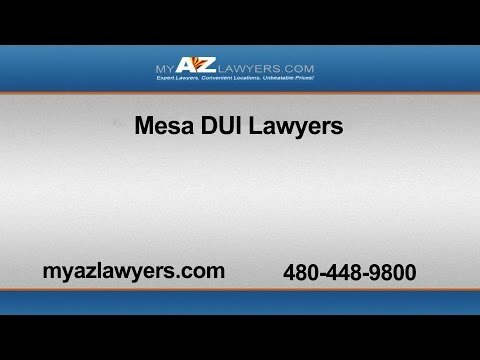 The experienced Mesa DUI lawyers at My AZ Lawyers can help if you have been charged with a DUI. Our dedicated attorneys in Mesa will put together the strongest DUI defense possible to help you keep your driving privileges and keep the charge off your record. If that’s not possible, your DUI lawyer will try to have the charges or the penalties reduced. Our attorneys can also help you if you have been charged with another reckless driving charge. Call us today to discuss a DUI defense or your other legal needs. What Do Law Enforcement Notice When Looking for Drunk Drivers?